Sly & the Family Stone harnessed all of the disparate musical and social trends of the late ’60s, creating a wild, brilliant fusion of soul, rock, R&B, psychedelia, and funk that broke boundaries down without a second thought. 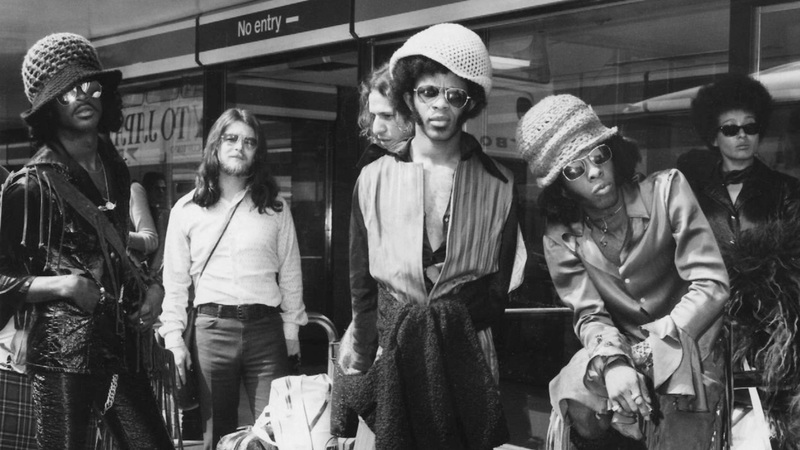 Led by Sly Stone, the Family Stone was comprised of men and women, and blacks and whites, making the band the first fully integrated group in rock’s history. That integration shone through the music, as well as the group’s message. Before Stone, very few soul and R&B groups delved into political and social commentary; after him, it became a tradition in soul, funk, and hip-hop. And, along with James Brown, Stone brought hard funk into the mainstream. The work of Sly and the Family Stone greatly influenced the sound of subsequent American funk, pop, soul, R&B, and hip hop music. Music critic Joel Selvin feels that the importance of Sly and the Family Stone’s influence on African-American music is such that for him “there are two types of black music: black music before Sly Stone, and black music after Sly Stone”. The band were inducted into the Rock and Roll Hall of Fame in 1993. Just a matter of months after ‘Dance to the Music’, Sly & the Family Stone turned around and delivered ‘Life’, a record that leapfrogged over its predecessor in terms of accomplishment and achievement. Several of the tracks here are brilliant, intoxicating slices of funk-pop that get by as much on sound as song, and they’re hard to resist. ‘Stand!’ is the pinnacle of Sly & the Family Stone’s early work, a record that represents a culmination of the group’s musical vision and accomplishment. ‘Stand!’ winds up infectious and informative, stimulating in every sense of the word. Few records of its time touched it, a stunning album. What makes ‘Riot’ so remarkable is that it’s hard not to get drawn in with Sly, as you’re seduced by the grooves, vocals slurs, electric pianos, and crawling guitars. Sly’s songwriting remains remarkably sharp, but only when he wants to write — the foreboding opener ‘Luv N’ Haight’, the scarily resigned ‘Family Affair’. Ultimately, the music is the message.